We had a lovely 5 day walking holiday, no problems and would like to say a special thank you to Ludmilla and Tony and the staff at Pedralva. 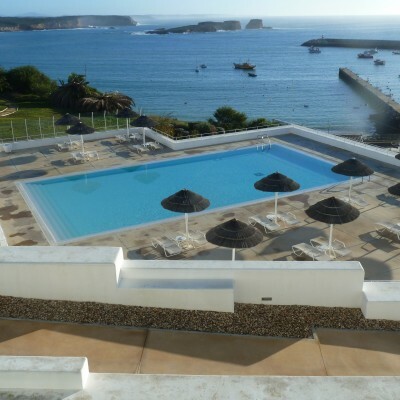 All your hotels have pools, and range from designer chic above the bay in Sagres, to country village style in Pedralva, where every house in the village has been restored to provide rustic accommodation. 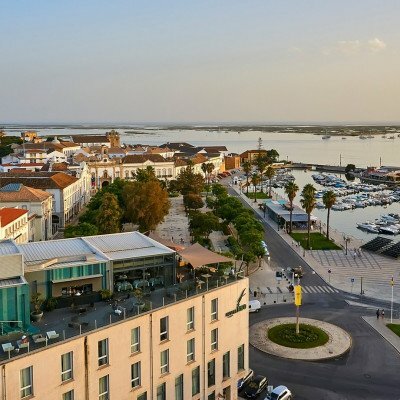 In Vila do Bispo you stay in a traditional pensao (coaching inn), now beautifully modernised, that was once a stopping-off point for pilgrims on their way to the Cape. Three dinners are included and the local cuisine is a sumptuous mix of fresh fish, local meats and fresh vegetables, accompanied by tangy cheeses and quality chouricos; all complemented by a superb choice of Portuguese wines. Arrive in the characterful coastal town of Sagres in time for your dinner. After a 30-minute transfer you'll follow the Fishermen's Trail, passing pines and gorse as you head to the cliff tops and the impressive Amado beach, an internationally renowned surf beach. Make your way down to the village of Carrapateira, with its bars and restaurants offering a great lunch stop. Do take time to visit the interesting Land and Sea Museum for an insight into the history of the village and its fishing economy. You'll then pick up the Rota Vicentina passing one of the Algarve's finest viewpoints, following a lovely trail through the Sinceira Valley and the course of the River Sinceira, as you make your way to charming Aldeia da Pedralva and your own village house for the next two nights. You can be as active or as relaxed as you like: spend time unwinding in the pretty village or enjoy one of two optional walks. Follow a lovely cliff-top trail back along to Amado beach or take a smaller loop along the Marreiros plateau with great views of the Algarve's highest point. There are two options for today, both setting off through a forest of pine and eucalyptus as you follow the Rota Vicentina, then a meandering trail through flower meadows leading you along a path and down to the pretty village of Vila do Bispo. The longer trail adds a wonderful horseshoe loop heading into the Costa Vicentina Natural Park, to Praia da Barriga (Barriga beach) with its impressive cliffs and crashing waves - the perfect picnic spot. The cosmopolitan coastal town of Lagos is a short bus ride away; encircled by C14 walls, the stone work and architecture within is a delight. Ornate churches date from the C13, and tangled cobbled lanes lead to discoveries around every corner. Alternatively, you may wish to follow one of two walks, one taking in the cliffs and viewpoints above Vila do Bispo, the other a real gem of a walk through a landscape of rolling hills and gentle valleys through the village of Raposeira to Guadalupe chapel, thought to be one of the only Knights Templar buildings left in Portugal. Surrounded by foaming Atlantic breakers, Cabo de Sao Vicente marks the most south-westerly point of Europe. The walk out to the edge of the continent should prove to be one of the highlights of your week! You are spoilt with amazing coastal scenery on this wild and unpopulated route that follows sandy paths and gorse-strewn meadows to the very edge of the Iberian Peninsula. At the Cape there is a lighthouse, museum and small bar, offering wonderful photo opportunities. It's a short transfer (5 mins) back to Sagres where you can relax with a cold drink on the waterfront, watching fishermen mending their nets. A relaxing walking holiday in attractive and unspoiled coastal scenery. The detailed route maps and waymarking were superb. The Atlantic cliff views and wild flowers provided numerous photo opportunities. We were very impressed with the service provided by Headwater from start to finish. Ludmilla, the local rep, was very helpful and gave us lots of advice about each days walking. We got the bus into Lagos on our rest day, which was also very enjoyable. We have never been on an organised holiday like this before, but wouldn't hesitate to book with Headwater again. The general topography of this holiday was less interesting and exciting than experienced on previous headwater walks, but we did thoroughly enjoy the holiday. This was a most enjoyable walking holiday. The walking was stretching without being gruelling. The three hotels used were really good. And the Portugues were very accommodating and the food delicious. We made some new friends and felt well looked after from start to finish. In a beautiful area of Portugal, with walking each day enough to be testing but not exhausting. The hotels were all good and we enjoyed the company of other walkers. A very enjoyable holiday. Really enjoyed the holiday but felt some of the walks didn't quite match the holiday description of "Algarve's Wild West". We had a lovely time, there were 8 of us that booked together and we loved the walk! The scenery was gorgeous with the most beautiful wild flowers everywhere. A good walking experience in a scenic environment. We had a good holiday somewhat marred by poor direction notes, that were unclear and didn’t contain enough distance references. Also the choice of accommodation and scheduled rest days wasn’t given much thought and could have been much better. A complete break, involving some challenges but much relaxation. A new part of Europe to us, we were welcomed. Fantastic walking in a peaceful part of Portugal, but then we were there in April not the peak summer season. Tony and Ludmilla provided the perfect start to the holiday and the reassurance that they could be contacted if we needed support. The suites in Hotel Memmo Baleeria were worth the extra because the standard room we had on the first night was rather small. We had 5 days of varied and interesting walking. The route notes were easy to follow. The walks at the overnight stops were well worth doing especially the fabulous walk from Pedralva back to the beach. It was easy walking, nothing too taxing. It was worth having my woolly hat though, for protection against the wind, which was quite strong at times. We think that the combination of a linear walk with a 2 night stop in one place is a great model. Easy walking. The coast was spectacular, the inland areas pleasant though much of the walking was along broad tracks that were not particularly interesting. We enjoyed staying at Pedralva - a very imaginative concept, and picturesque village. Ludmilla, the Headwater rep, was very helpful and knowledgeable. Thanks also for making the .gpx files available prior to leaving; navigation was easy enough, but they provided a useful check on occasions. A dramatic and varied coastal walk with superb bird watching opportunities. An excellent way to savour the culture, food and history of the region. This was our first holiday with Headwater, and would have no hesitation in using again all staff were extremely helpful and efficient. It was lovely to be met at the airport and have all our hotel and luggage transfers organised. Selected hotels were excellent. Three days' varied walking and three totally contrasting hotels, each with its own particular attraction. Couldn't ask for a better introduction to the Algarve. Algarve Wild West walking exceeded expectation. Floral environment on all walks was dazzling. All walks easy to follow as marked and described in written guide. Two boots was just about correct. A thoroughly enjoyable and relaxing holiday. We booked for the beginning of April hoping for good walking weather and lots of spring flowers - it turned out to be an excellent choice. Superb views when walking as well as lots of spring flowers and wildlife to enjoy. Excellent hotels and informative reps to help with local knowledge. An ideal time to visit this area and enjoy the spring flowers and butterflies which are abundant on all the walks. The weather was perfect for this type of holiday and the hotels very good. The GPX tracks supplied were very useful. We could relax because everything ran like clockwork. We were very lucky with our walking companions, we enjoyed thier company and navigated and ate together every day. Good but if we followed the walks exactly , they were not long enough for us given that the terrain was not at all demanding. However we did manage to add on extras each day which made the walking better. Lovely walks with lots of variety. We particularly enjoyed the coastline. Our rep, Ludmilla, was very welcoming, personable and helpful. Portugal in February - quiet but not deserted, good walking and perfect temperature and conditions. We had our first holiday with Headwater this October in Portugal. We had never been on an organised walking holiday before, but any concerns we might have had , e.g. getting lost,were soon abated. The route maps were excellent and easy to follow. The timing of each walk was accurate, so we were able to pace ourselves accordingly. We often walked the whole day without meeting a soul except at the beach, where we could watch surfers in crashing waves. The range of accommodation was excellent. We enjoyed our stay in Pedralva and were lucky to have a a cottage with a large patio.The hotels were in great locations and all very comfortable. Ludmilla and Tony were very helpful and knowledgeable about the area. We had not been to Portugal on holiday before. We will be back! Lovely views, lovely walks (accurate maps and grading), lovely hotels and a lovely rep (Ludmilla). It was a great holiday with the two nights in Pedralva and the walk to the lighthouse on the last day as the absolute highlights. The local guides were extremely helpful and well informed. Their walking routes and descriptions were excellent and full of interest. The whole area was very scenic and with a good variety of wildlife. The coastline in South West Portugal is stunning and the national park unspoiled .Most days we only saw other walkers and surfers The walks were well planned and came with easy to follow instructions.The way-mark signs were also good. Ludmilla and Tony, the Headwater representatives were excellent.and we felt as though they were there just for us ,even though we knew that they had other guests to look after. .The food and accommodation was ,on the whole ,of a high standard. We wouldn't hesitate to recommend this holiday to other walkers. They wont be disappointed. It far exceeded our expectations! A great way to see different areas of a country and meet new people. 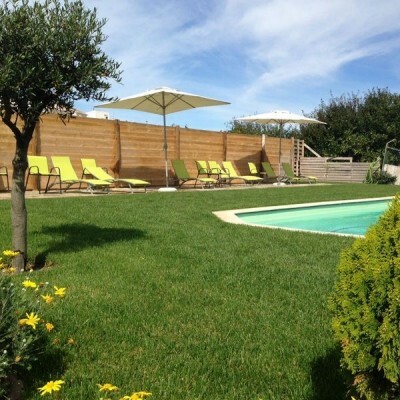 The standard of the holiday was as good as expected - what really made this holiday so enjoyable was Tony and Ludmilla - their warm welcome, personal touch, and their knowledge of the area was second to none. The walks were excellent and very accurately described and graded. Excellent options presented for the rest days. Ludmilla, our rep, was really helpful and had very good personal knowledge of the area and all the walks. Views were spectacular, especially on the coastal sections of the walks, and the wildflowers and bird-life were both wonderful. The slow-food restaurant at Vila do Bispo (A Eira do Mel) provided the outstanding meal of our trip. Hotel meals were generally pretty good, though the breakfast at Vila do Bispo was rather limited both in variety and quality. The weather was pleasantly cool for walking but, if you want to swim in the sea, you should probably go late April or May! A delightful few days' walking in lovely, remote, unspoilt countryside. I enjoyed the birdlife and spring flowers particularly. The Portuguese we encountered were personable and friendly and spoke excellent English. My friend and I loved the food and wine - our reward after a day of walking! We got a lot out of what was, objectively, quite a short holiday. Great.......good walking , excellent notes and maps , good weather and good support. Requests for extra historical information promptly supplied by Ludmilla. Wonderful flowers, butterflies and birds, ! Food was excellent both in hotels and in the towns and Ludmilla advised us about local perceves speciality...and how to eat them. A good variety of places to eat. Wonder if L and T might keep a reference book of Flowers and Birds of Portugal in the van they could lend out... or we could consult? Our third holiday with Headwater came up to usual high standards. Our representative Ludmilla was excellent and efficient. Although we had no problems we were confident that, had there been, she would have dealt with them promptly. We particularly enjoyed the delightful village at Pedralva - something out of the ordinary. Excellent first holiday with Headwater. Nothing was too much trouble. They even arranged for me to see England win the Grand Slam on TV in Pedralva! Walks were beautiful and the guides were easy to follow. 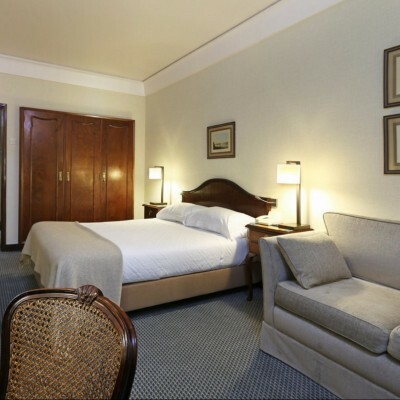 Friendly, well-organised and exactly as described. Can't really comment on standard of accommodation normally offered by Headwater as we upgraded wherever possible. At Costa D'Oiro (where we paid for superior room) we were put in room 3016 (I think) which, we later realised, has to have been the worst of all the superior rooms in that building (ground floor, in the back left-hand corner of the building) - the bathroom facilities were modern but the room itself was very dark and cramped (had a 3rd bed in it so nowhere inside to sit or even to put our cases). The patio was dark & dingy and only got the sun for about an hour or so around breakfast time (which wasn't much use to us as the room was not 'ready' for us to go into until after 1pm). The superior rooms on the other side of the building (i.e. facing the small road) were much brighter and bigger but we were not given the option of changing. We wouldn't have minded a room at the back of the building had it been on the 1st floor level as this would have been much lighter but we very much got the impression that we were put in that room to make it easier for cleaning - i.e. all the rooms to be cleaned were together on the ground floor. The restaurant was closed in the evening so comment re food relates to breakfast only, which was good. I would not stay in this hotel again. Probably the best walking holiday we have had in Europe. A decent walk each day but you could do other things if you wanted. 3 of the five walks were really beautiful and the other two were good. Accommodation was fine and the reps were helpful. The notes were clear and easy to follow. Memmo Baleeira was lovely to stay at and it would have been good to have stayed there longer. 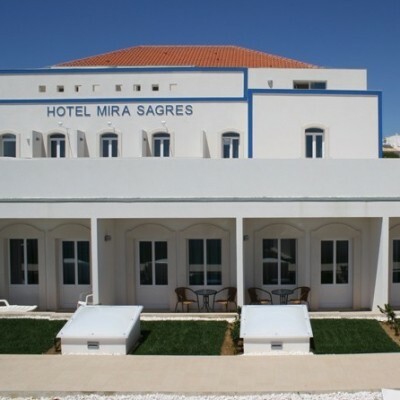 Mira Sagres was alright and Pedralva was very basic (food in evening was adequate but you had to be careful what you chose). Walking along coast and in wooded valleys was lovely but could be tedious inland (flat and featureless scrubland at times). Ludmilla was great and very helpful - we like her a lot! Thoroughly enjoyed our holiday, Tony and Ludmilla were very helpful, the route notes accurate and the walks were lovely especially the walk from Vila do Bispo to Sagres-the coastal views were fantastic! All the hotels were very welcoming, but we especially liked Pedralva it is a real gem and the food was great too! There was plenty of choice of restaurants on the days when we had bed and breakfast at the hotels and we found all to be very good value for money. Our walking holiday in Portugal was a delight. Everything worked so well and the area is outstandingly beautiful particularly in April with so many spring flowers in bloom. I would highly recommend this region/ holiday. Ideal for walking in more natural and unspoilt areas with good standard of accommodation. Warm and mainly dry weather made the walking very enjoyable although be prepared for windy spells. The importance of tourism to the area came across in the warm welcome we received from most of the Portuguese. Our introduction to the area by the Headwater rep. Tony Lewis was invaluable and his walking notes made navigation easy. Both Tony and Ludmilla made the holiday appear seamless in its organisation and they were very friendly and supportive. This is the third holiday we have had with Headwater and was the best yet. Tony could not have been more helpful and is clearly a man who loves his work. The walks were all superb with a huge variety of scenery. The notes were very clear and made it is easy to find our way. The accommodation was all to a high standard. Pedralva is a real gem and we were sorry to leave such an away from it all location. Choice of food for dinner at Memmo Baleeira was a bit limited unless you like pizza but they made up for this with the most superb breakfast choice. We also had the restaurant virtually to ourselves on the first night but on our return on Good Friday it was packed out with families. Quite a contrast. We felt that the reps Tony and Ludmilla were excellent and helpful at all times. They are great ambassadors for Headwater. We were disappointed with the evening meal offered at the Hotel Memmo Baleeira. The service was slow, the food cold and over seasoned for our tastes. We found an excellent alternative restaurant in the town and went there on our last night. We would have preferred to have had an 'eat out' option in Sagres rather than having the evening meal included. Walking the Algarve's Wild West is a lovely break in the dull winter months of Northern Europe. Wild flowers, blue skies, dramatic coastal walks, great food and wine make this an ideal, well-planned short holiday. Although weather in Portugal is unpredictable in January, it is warmer than UK and has more daylight hours. However the wild atlantic was wonderful to see in strong winds. The trails were wonderfully peaceful, and the coastal scenery stunning, fishermans trail was probably the most spectacular coastal walk we have ever seen. The 6 day walk was very well put together, with a variety of countryside terraines, ridge walks, cliffs and beaches. Pedralva was a fascinating place to stay, and as there were so few people there we were entertained and educated in local cuisine by their very amusing 'French' waiter. As an add on we had a 2/3 day stay in Lisbon, lovely city, and it is a must to sample the patische do nata, available in most cafes. Beautiful walks and great hotels - particularly liked Pedralva. We understand that Portuguese Railways will not accept corporate bookings so you need to make it absolutely clear at the outset that travellers need to arrange their own rail travel from Lisbon to Tunes and give them clear guidance on how to do that. Their web site is not too easy to follow. You should also make it clear that it is possible to fly to Faro and take the local train from there. If your guests are arriving in Vila do Bispo on a Saturday, they need to know that the shops noted in your guide book are closed from 1300 and all day on Sunday. However, all is not lost because there is a Lidl supermarket that is 'open all hours' providing freshly baked bread and pastries and a range of other picnic items. Finally, the lighthouse at Cape St Vincent is not open on Mondays. Ludmilla and Tony were both efficient and enthusiastic. April is an ideal time to go to Portugal - longer days and not too hot for walking. It's worth pre-arranging a day to cater to your special interests - we chose birdwatching and wild orchid hunting. We also pre-booked our train from Lisbon to Tunes and got a good discount for seniors. A good holiday, fun accommodation in village houses and one very good hotel at each end, though sadly the weather was really poor for walking on this occasion. The tour reps were absolutely excellent, knowledgeable,helpful and thoughtful. We would certainly want to go again, though perhaps a one boot+ was too much for me. Excellent, especially as we experienced very stormy weather on one day but Tony and Ludmilla kept in touch with us and advised us not to walk; instead they collected us in the van and took us to one of the major sites we would otherwise not have seen. They were outstanding reps, and ambassadors for Headwater. Tony and Ludmilla were the best reps we have ever had in our extensive experience of Headwater holidays. They went to a great deal of trouble to make the walks more interesting and had produced laminated maps with the walks highlighted. These were far more useful than those originally supplied. Their initial briefing (and the associated written material) and walking notes were really well researched with lots of useful information on the likelihood of shops etc being open. Very useful in mid- January! The hotels were really excellent .Very good breakfasts in all except one. The free hotel in Lisbon [Plaza Lisboa] at the end of the holiday even supplied us with a complimentary bottle of Portugese fizzy wine on Bob's birthday. Particularly good waymarking made this an undemanding experience. This was our 8th Holiday with you and as ever we really enjoyed our break. We especially enjoyed our stay in Pedralva (took our 2 free nights there). Beautiful area, great walking. All staff at hotels were friendly and helpful. Your reps - Tony and Ludmilla were welcoming and really helpful. Tony's route notes were the best we have come across. Lovely food, quality wines. Good mix of accommodation. Only downside were the number of barking dogs - thankfully mostly on leashes but a bit scary at times (farm dogs and dogs on the properties kind of out of the way) Probably not a lot more that you can do about that though! Due to the tailor-made nature of our holidays, we need a little more information in order for us to check availability for Walk the Algarve's Wild West. Simply complete the form below and a member of our sales team will contact you (when it's most convenient for you) to provide availability information, travel options and an accurate price. Of course there's no obligation, but if you do wish to proceed with a booking they will be on-hand to assist you throughout the process.